According to news reports, the work will likely be based on the earlier research of Professor Robert Wood, whose team created a robotic fly micro air vehicle that made quite a stir in 2007. 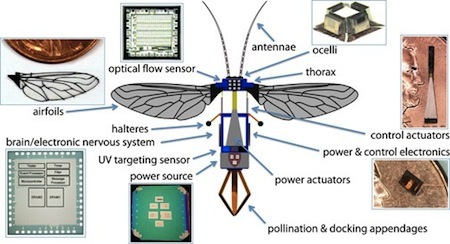 The robotic fly weighs just sixty milligrams and has a wingspan of just three centimeters. Bees and bee colonies have long been held up as models of efficiency and coordination. Using a host of different sensors, unique communication protocols, and a precise hierarchy of task delegation, thousands of bees can work independently on different tasks while all working toward a common goal--keeping their colony alive. Researchers in this Expedition will create robotic bees that fly autonomously and coordinate activities amongst themselves and the hive, much like real bees. The research team aims to drive research in compact high-energy power sources, ultra-low-power computing, and the design of distributed algorithms for multi-agent systems. 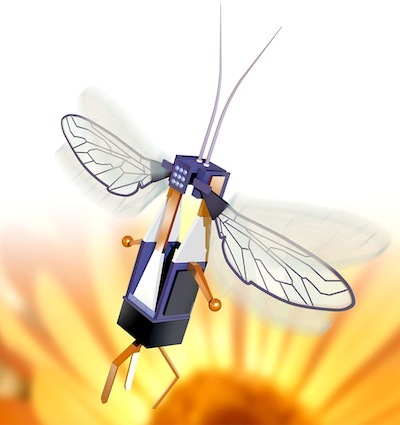 Furthermore, the RoboBees created will provide unique insights into how Mother Nature conjures such elegant solutions to solve complex problems. Take a look at this unique video of the robotic fly taking its rightful place in the Museum of Modern Art. Read more at the Harvard Robobees homepage and the NSF press release; via ComputerWorld.